Some call it the first horror novel. Others have deemed it the earliest science fiction. All have agreed that it is evocative and terrifying. 200 years ago Mary Shelley’s groundbreaking novel Frankenstein was first published, and it has lived on in the fearful imaginations of readers since that day. 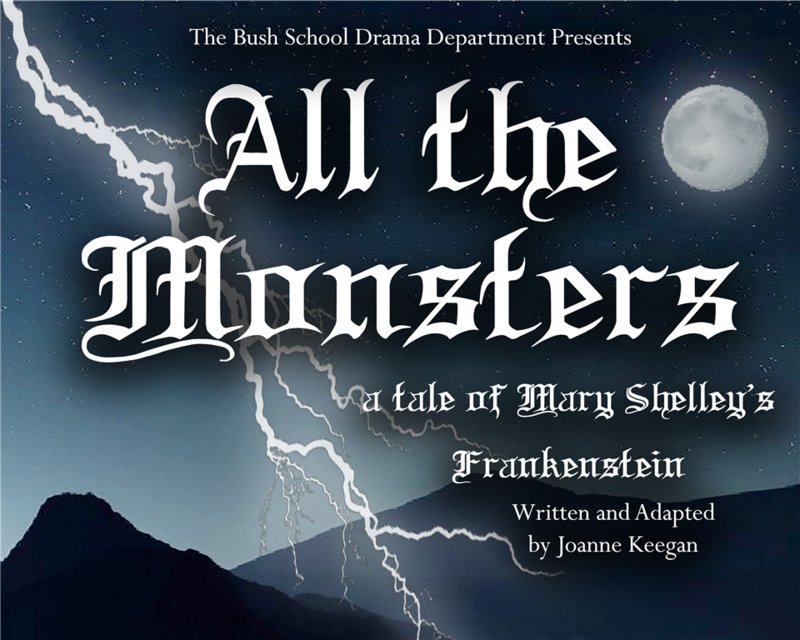 “All the Monsters” is a play that explores not just the chilling tale of a man willing to give up everything to create life; but also the experiences of the Mary Shelley, the woman who gave birth to this truly unmatched literary masterpiece. Friday February 2 at 7:00—Alumni Night! All alums get front row seats, a free concession, and a picture with the cast and crew. Thank you to parents Miguel de Campos and Peter Tarczy-Hornoch for the photos!